Chanson de l’Ange is La fin!!!!! Greetings fans and friends! 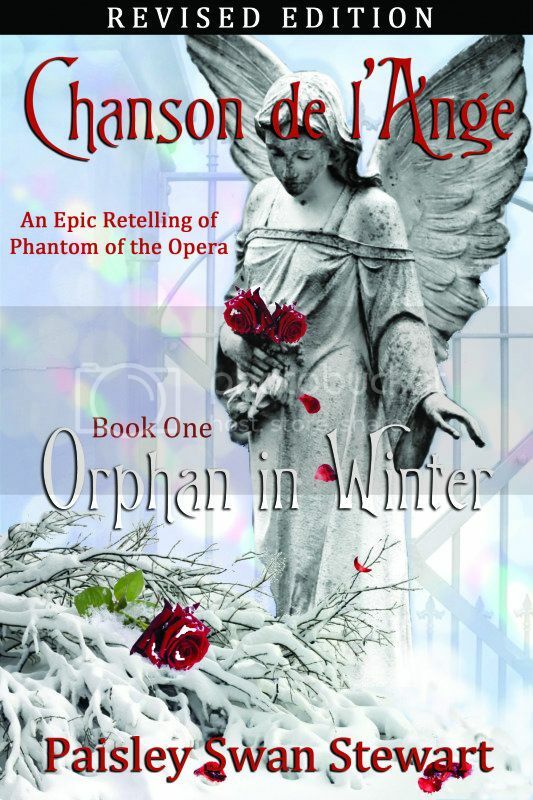 It is my greatest pleasure to announce that my complete 3 volume Phantom of the Opera based book series is now finished and has been submitted to my publisher! As some of you know, look I began writing Chanson de l’Ange in February of 2004. Throughout the writing process I have been hit with one challenge and crisis after another, unhealthy and there have been times when I thought Chanson would never actually be published in its complete form-but that day is just around the corner. All I can do now is hope that I have given my readers a story with a beginning, here middle, and end that will satisfy and thrill them until the last page! In just a few weeks Chanson will be available through on-line resources in both paperback and ebook formats! Check back here for the soon to be announced released date!!!! I would like to thank all my supporters, readers, and fellow fans for your interest in my books. Some of you have been with me since February 2004 when I began posting Chanson chapter by chapter on a Gerard Butler message board-and some of you even before that via personal emails! Had it not been for your encouragement and love of this story, I would have given up years ago! Thank you!!!! This entry was posted	on Tuesday, June 26th, 2012 at 4:28 pm	and is filed under Uncategorized. You can follow any responses to this entry through the RSS 2.0 feed. Both comments and pings are currently closed. Paisley I’m reading your novel now and absolutely love it….when the new versions are published which ones should I buy to continue the story? Its true there are a lot of punctuation errors but the story is so good, I don’t mind. I don’t want it to end but I am coming close to the ending….tell me, will my magnificent Phantom end up happy for once in his life? I truly hope so! Hi Connie! Welcome to my site. To complete the story you will only need to purchase Book 3! I’m so glad you are enjoying even the unrevised edition. I know some readers are not bothered by the technical writing errors, but many people are very put off by them and I have a received a few unfavorable reviews because of them. Of course I cannot tell you if the Phantom finds happiness-you will have to find that out for yourself!!! Have a wonderful weekend! I purchased your original book and loved it. Am looking forward to the 3 part revision. I would appreciate being notified when it does become available for purchase. Thank you! I purchased your original book and loved it! Please let me know when the 3-part series is available for purchase. Thank you! Hi Mary! I will add you to my newsletter list and you be notified via email! I absolutely love your book and I have been dying to find out when the whole series will be available for purchase and where I can find it! Could you please let me know ASAP!!!!!! Home / Chanson de l’Ange is La fin!!!! !